If this comes back, you may have to use Group Policy Editor. 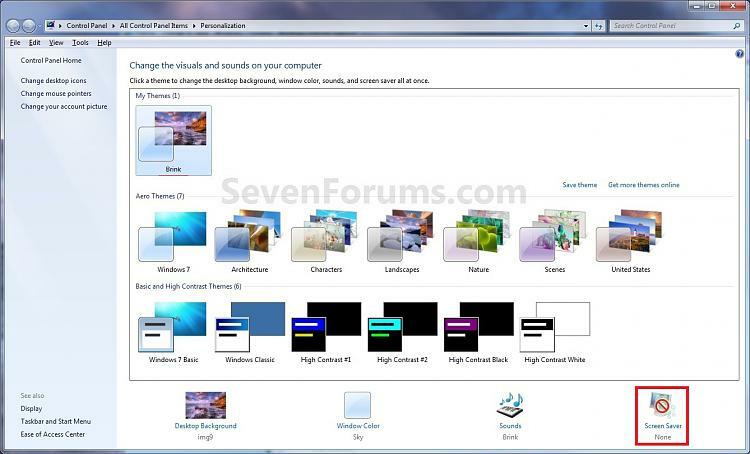 User Configuration | Administrative Templates | Control Panel | Personalization | Password protect the screensaver. 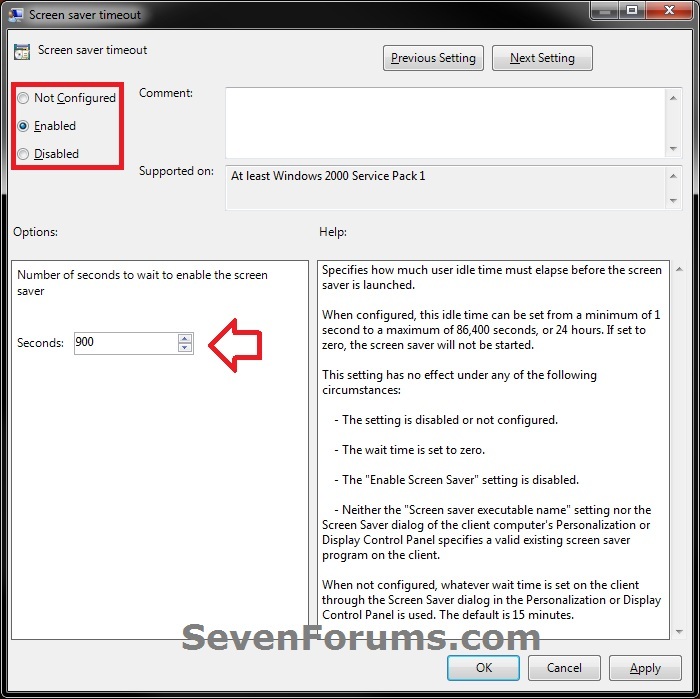 NOTE: Wait X minutes is grayed out if you used OPTION TWO or OPTION THREE below to enable a screen saver timeout period for all users. NOTE: This option will only affect the user that you are currently logged in as. 1. Right click on a empty space on the desktop and click on Personalize. A) Select how many idle minutes to Wait before the selected screen saver displays. B) Decide if you wanted to turn the screen saver password protection on or off. C) Go to step 5. A) Check the On resume, display logon screen box. B) Select how many idle minutes to Wait before going straight to the log on screen without a screen saver displaying first. Through Local Group Policy Editor for "All Users"
4. 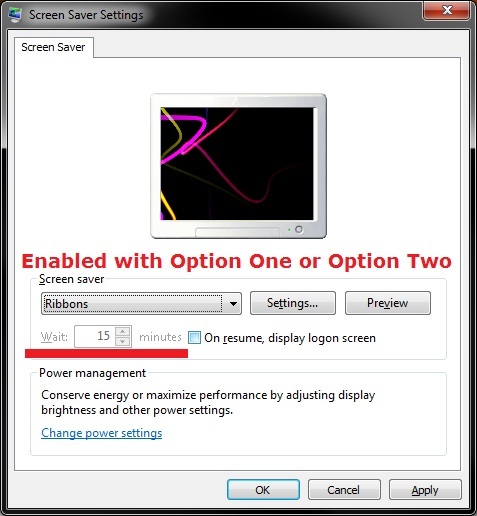 To Not Set a Screen Saver Timout for "All Users"
NOTE: This is the default setting, and will allow users to set their own screen saver timeout using OPTION ONE instead. 5. To Change or Set Screen Saver Timout for "All Users"
NOTE: This option prevents users from being able to change the screen saver timeout "wait" setting in the Screen Saver Settings window. 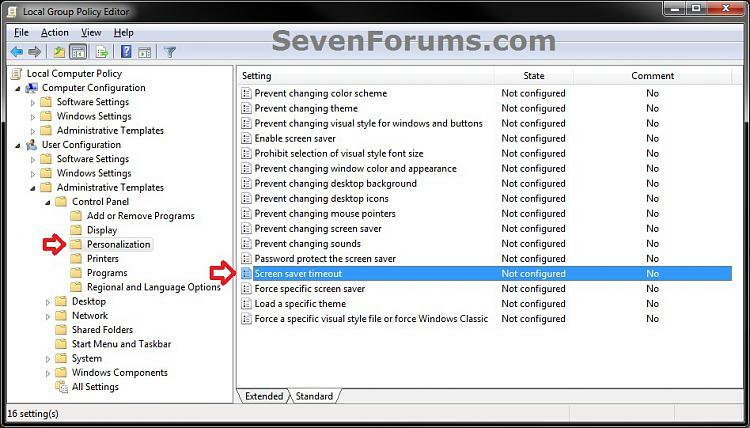 Through Registry Editor for "All Users"
NOTE: This option will override OPTION ONE. You will need to be logged in as an administrator to be able to do this option. 1. Open the Start Menu, and type regedit in the search box and press enter. 3. To Change or Set Screen Saver Timout for "All Users"
NOTE: If you already have the Control Panel key (step 3C), then skip this step and go to step 3D. NOTE: If you already have the Desktop key (step 3E), then skip this step and go to step 3F. NOTE: If you already have the ScreenSaveTimeOut string value (step 3G), then skip this step and go to step 3H. J) Go to step 5.